ESCONDIDO — Firefighters from Escondido, Valley Center and San Marcos extinguished a two-alarm blaze on Saturday, according to a press release from the Escondido Fire Department. The report of the blaze came from a roofing contractor, who was doing repair work. 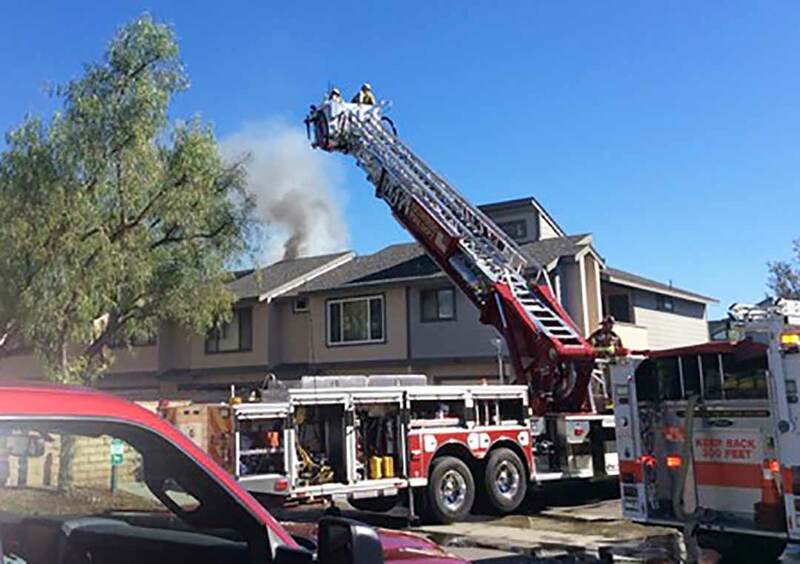 The fire at the two-story condo unit in the 2100 block of E. Valley Parkway began in the attic and moved into a second unit, according to the release. Firefighters put out the fire in about 45 minutes with damage to the primary unit and smoke damage to the second unit estimated at about $50,000. No injuries were reported, although four residents, a dog and cat were displaced.